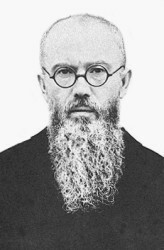 St. Maximillian Kolbe O.F.M. Conv is a relatively well known Saint in Catholic circles as “that one priest who took the place of the prisoner in Auschwitz”. I will briefly speak about the death that St. Maximillian Maria Kolbe experienced, but what I want to focus on is what led this Franciscan priest to be able lay down his life for another man, in imitation of our Blessed Lord. I submit three points which I believe led to making St. Maximillian Kolbe a Saint: A joyful acceptance of suffering, total consecration to Mary Immaculate, and a passion for the Most Blessed Sacrament. Maximillian Kolbe was born as Raymund Kolbe on January 8th 1894 in Zduńska Wola, (part of the Russian Empire at the time). He was the second son of Julius Kolbe and Maria Dabrowska. His mother was of Polish origins and his father was an ethnic German. He had four brothers, Francis, Joseph, Walenty (who only lived a year) and Andrew (who only lived for four years). Maximillian’s early life was a very pious one, and he spent much time in Church. The influence of the Blessed Mother was particularly strong in his life, and he had a very close relationship with her. She had her hand on him from a very early age. In his adolescent years, the Blessed Mother showed up to him in a big way as in this experience which St. Maximillian shares. 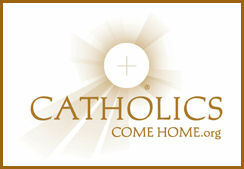 He said “That night, I asked the Mother of God what was to become of me, a Child of Faith. Then she came to me holding two crowns, one white, the other red. She asked me if I was willing to accept either of these crowns. The white one meant that I should persevere in purity, and the red that I should become a martyr. I said that I would accept them both”. In 1907, he left his family to join the Conventual Franciscans and he entered the novitiate in 1910. He took the name Maximillian upon making first vows, and his final vows took the name Maximillian Maria. He took this name because of his deep devotion to the Blessed Mother. St Maximillian showed his virtuous character in many ways, but a prominent sign of his sanctity was his acceptance of physical suffering. Shortly after Kolbe’s ordination to the priesthood, he was diagnosed with Tuberculosis. St. Therese of Lisieux dealt with the same disease, which killed her only 30 years prior to Kolbe’s diagnosis. Though it almost killed Kolbe, he was allowed to live. In retrospect one can see that this suffering was a foreshadowing of the intense suffering he was to endure in his martyrdom. He patiently endured his suffering, yet still sought to make every effort to use the time he was given wisely to serve Christ and our lady. “My lung condition became worse again; I began spitting blood once more and had a very bad cough,” Kolbe explains. “I was suspended from studies. I used the time to rewrite the program for the Militia Immaculatae, which I presented to the Father General of our Order, the Most Rev. Dominic Tavani, to obtain his blessing in writing”. St. Maximillian struggled with the effect of his Tuberculosis for the rest of his life, experiencing great fatigue and weakness. This did not stop this Franciscan priest from giving everything he could to serve Christ and the Church through Our Lady. While doing this, he sought to use every means available, including printed media, as well as radio and even tried to use motion pictures to spread the message of the Gospel and the Militia Immaculata. The Catechism of the Catholic Church teaches us that “The Eucharist is the source and summit of the Christian life”(CCC 1324), reiterating the words of the Second Vatican Council. Without the Priest, we would not have the Eucharist. St. Maximillian Kolbe knew this sublime truth, and so reverenced his vocation to the priesthood that all of his actions were focused on being the best priest he could be, even in his short 23 years as a priest. During the Synod of Bishops on the ministerial priesthood, the then Cardinal Karol Wojtyla (later to become Blessed Pope John Paul II) declared “At a time when so many priests were questioning their ‘identity’, Father Maximillian Kolbe stood up in our midst to answer, not in the format of theological dialogue, but in that of his life and his death. For him it was enough to be neither more nor less than his Master in giving witness to the ‘greatest love’”. The strength of Kolbe’s priesthood flowed from the Sacred Heart of Jesus dwelling in the Eucharist. His Mass register shows his supreme respect for the power of the Eucharistic Sacrifice. He ensured that every Mass was used for the Maximam Dei Gloriam, and ensured he offered every Mass somehow for the salvation of souls and for his own sanctification. Many of his Masses were even offered for the intention of achieving his own martyrdom. In his notes written a month before his ordination, the young deacon stated, “The love of Jesus in the Blessed Sacrament above every other thing. He is our all”. He was willing to suffer all for the love of Jesus Eucharistic. His brothers tell a story of him one time becoming extremely ill, with abscesses forming all over his body, leaving him in excruciating pain. He insisted on his brothers holding him up in order to say Holy Mass, even though he could only stand on one foot and should have been hospitalized. This left an incredible impression on his brothers who stated “What an impression to see how the saints suffer; we will never forget this”. How could one forget this type of sacrificial love? Divine Victimhood – this is how St. Maximillian Kolbe viewed his life and his priesthood. This was the perfect setting for the climax of his life. The martyrdom he had earnestly prayed for was upon his doorstep. 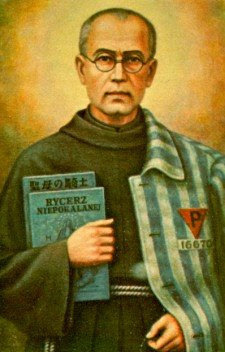 On February 17th, 1941, Kolbe was arrested by the German Gestapo and brought to Pawiak Prison, and thereafter was transferred to the Nazi Concentration Camp, Auschwitz, and branded as prisoner #16670. At the end of July of 1941, three prisoners escaped, and to punish the camp, the deputy camp commander decided to choose ten people to be starved to death in order to teach the camp a lesson. Franciszek Gajowniczek, one of the prisoners chosen cried,“My wife! My children!”. Fr. Maximillian, driven by his love for the poor soul stood up among the group and stated that he would take the other prisoner’s place. He was placed into a starvation chamber. After two weeks of starvation, while leading the other prisoners in prayers, hymns, and even celebrating Mass for them, he was found to be still alive, while all around him had died. The frustrated Nazi guards gave him a a lethal injection of carbolic acid, which he willing accepted, and he gave up his spirit.